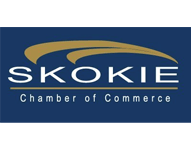 If you need air conditioning services in Chicaco, IL or the surrounding area, you're in the right place! Contact the Chicago air conditioning repair, installation and maintenance experts at Shavitz Heating and Air Conditioning if you’re having any problems with your AC. We are available 24/7 so that in case your AC goes out in the middle of the night you can call us and get emergency air conditioning repair. We offer our 100% Satisfaction Guarantee and our Lifetime Workmanship Warranty so that you can rest assured that you’re getting terrific service. We carry an A+ rating with the BBB and we’ve also received the Angie’s List Super Service award 7 years in a row. Our technicians show up on time and they always wear booties in your home so that they don’t get anything dirty. From competitive Chicago air conditioning maintenance plans to emergency repairs, we have you covered every step of the way! Simply give us a call to schedule air conditioning services in Chicago, IL and the surrounding area. Whether you’re looking to install a new air conditioner in your Chicago–area home or you’re in need of emergency repair services, we have you covered. Our NATE–certified technicians have experience working on all different air conditioning systems and brands including Carrier, Trane and more. 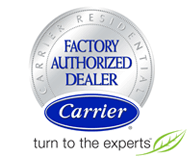 In fact, we are Carrier factory–authorized dealers – give us a call to learn more about our Chicago air conditioning service options. Starting your new air conditioning system off on the right foot with quality installation is one of the best things that you can do for it. Mistakes that get made during the installation process can stay with your equipment for years and impact its operation. Call the Chicago air conditioning installation and replacement experts at Shavitz Heating and Air Conditioning today to find out how we can help you pick out a good system and make sure that it is installed properly. If your air conditioning system has started to require more frequent repair it could be time to start thinking about replacing it. The technicians at Shavitz Heating and Air Conditioning are the Chicago air conditioning replacement professionals that you can count on to help you find a great AC replacement for your home. It can be frustrating to have your air conditioning system break down when you need it most. Call the Chicago air conditioning repair and maintenance technicians at Shavitz Heating and Air Conditioning for AC repair services. Our technicians are friendly and highly trained. They’ve worked with all kinds of air conditioning systems and problems. They will be able to get to your home quickly, assess the problem, and offer a reasonable solution. We also recommend getting regular maintenance for your air conditioning system. With all the use that your AC gets during the summer, it could start to develop small problems that could turn into more costly repairs. Call the Chicago air conditioning repair and maintenance professionals at Shavitz Heating and Air Conditioning today. Geothermal Air Conditioning Systems – If you’re looking for a way to reduce the amount of energy that you use to heat and cool your home, a geothermal heat pump is a great solution. Geothermal uses the endless and free energy stored in the ground to provide efficient and reliable heating and cooling for your home. Contact the Chicago geothermal heating and air conditioning specialists at Shavitz Heating and Air Conditioning. We can help you determine if one of these green geothermal systems is right for your home. Ductless Mini Split Air Conditioners – Ductless mini split systems are a terrific option for many of our customers that are looking for new and more efficient ways to provide heating and cooling to the home. Ductless systems avoid energy loss that occurs in bulky ductwork and they also allow homeowners to control the temperature of specific portions of their home. Call the Chicago ductless mini split heating and air conditioning technicians at Shavitz Heating and Air Conditioning. If your home doesn’t have room for ducts or if you’re interested in replacing your current system, a ductless mini split heating and AC system is a great option. Thermostat Upgrades & Service – Most people don’t realize how important their thermostats are to their home’s comfort. Even though they’re small, your thermostat controls your entire heating and air conditioning system. When you start to have problems with your comfort levels, it is easy to overlook the thermostat. Contact the Chicago thermostat repair and installation professionals at Shavitz Heating and Air Conditioning. If you’re not getting enough air conditioning or heating, a broken thermostat might be to blame. Our thermostat brands include smart options from Carrier and Honeywell. Zone Control Systems – Zone control systems allow you to focus your heating and air conditioning efforts on certain parts of your home. This could avoid wasting energy heating and cooling parts of your home that you aren’t using. Contact the Chicago zone system experts at Shavitz Heating and Air Conditioning if you’re interested in learning more, or if your current zone system needs repair. Heat Pump Installation & Replacement – Heat pumps are a terrific option for many homeowners who want their heating and air conditioning in one convenient system. Heat pumps work by moving heat from one place to another, so they don’t actually need a fuel source like a furnace or boiler does. Instead, they gather heat from the air outside and move it into your home. They also work in the opposite direction to cool your home during the summer. Call the Chicago heat pump installation and replacement techs at Shavitz Heating and Air Conditioning for any help that you need. Heat Pump Repair and Maintenance – Because heat pumps provide both heating and cooling, they tend to work for most of the year. All that use often leads to problems that require repair. Call the Chicago heat pump repair experts at Shavitz Heating and Air Conditioning if your heat pump is making a strange noise or if it isn’t providing enough cooling or heating. Regular heat pump maintenance is also a good idea because it could reduce the need for costly repairs, and extend the life of your equipment. Finding the right air conditioning system and settings for your home can be frustrating and time consuming. But when you call the Chicago air conditioning experts at Shavitz Heating and Air Conditioning, we can simplify the process. From professional AC repair to system installation, our NATE–certified technicians are the ones to call. We’ll help you figure out exactly how much cooling your home needs and then advise you on which AC system fits. Call us today to schedule air conditioning services in Chicago, IL and the surrounding area.